The Saint Mary’s Catholic Church as seen from the Washington Street side. The building was built in 1904, expanded in 1956, and restored in 2002. The Mountain View Baptist Church is located on Cagle Street, not far from the Amtrak station. Originally built by Reverend John Henry Smith, it has some unique features such as the name lettered in brick on the front of the building. PS: I did make a modification to “bury the power lines” that pass in front of the building in order to get a better look at the building. This church located in the Southernside community has an artistic puzzle appearance, similar to the Holy Trinity Anglican Church on Buncombe Street. It is located near one end of the now missing Hampton Avenue bridge from yesterday’s post. A pedestrian bridge would connect the community on the other side to this church, and cut out the extra 1.5 mile trip to walk around on the Pete Hollis Boulevard bridge. 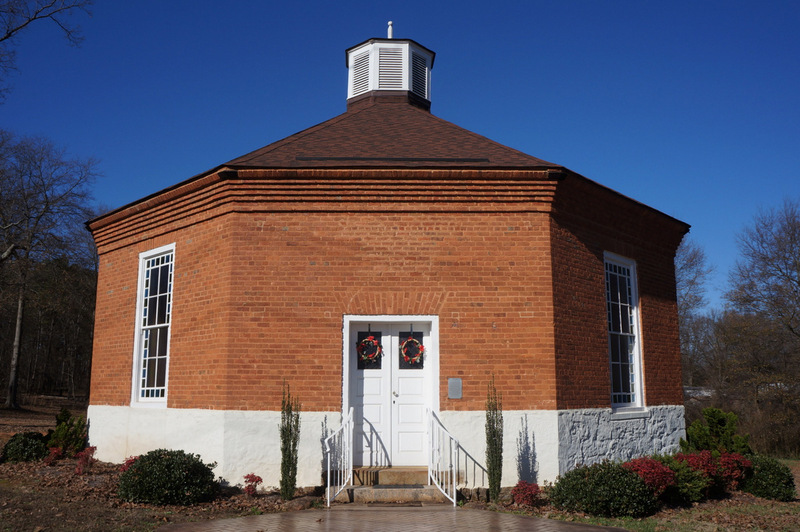 This octagonal church was commissioned by Vardry McBee (the ‘father of Greenville’) back in 1842 as a place for employees of one of his factories to worship. The thinking behind the design is that there is more usable floor space per square foot than a square design. 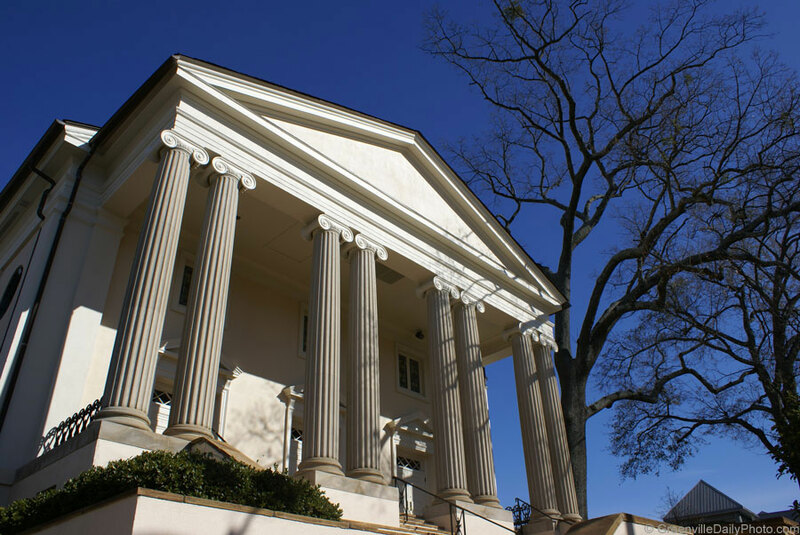 It is located in Conestee, SC, and is on the National Register of historic places. It is just one of three surviving octagonal churches in the United States from this era. A church steeple in downtown Greenville. This photo was taken by Denton Harryman. This monument is in front of the Allen Temple AME church,Â across from the Fluor Field ball park. Â This bell was part of the original church and was transferred to the new church in 1929. A fall view of a Â tree outside the historicÂ Christ Church Episcopal on the corner of Church and East North Street. I like the sign at the Presbyterian Academy in downtown Greenville .. I also like the leaves in this photo.